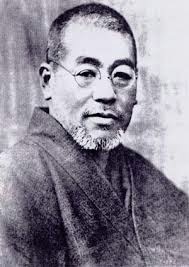 Reiki is a Japanese method of healing developed by a Buddhist, Mikao Usui. Reiki uses the natural energy that animates all the living. What’s the Scoop on Reiki? What is Reiki? Reiki is a holistic healing modality that utilizes pure universal energy to clear energetic blocks in the body that cause pain or distress. 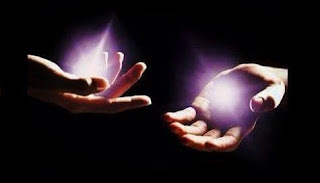 Working by simple laying-on of hands and intent, Reiki brings us back into physical, mental and spiritual harmony by connecting to universal life force energy. The Reiki healer calls in the energy and places the hands on or near the body, allowing soothing energy to flow. To enjoy a Reiki session, simply sit or lie comfortably while a Reiki healer lets energy flow. Reiki is an intelligent energy and travels to wherever it is needed in the body. You will never get too much or too little and the energy always works for the highest good. The treatment feels relaxing and restful. Tension, pain and stress relief may come right away, however as Reiki activates the body’s innate ability to heal itself, the full benefit of a treatment may not be fully appreciated until days later. For the best results, Reiki should be continued on a regular basis. The word Reiki is comprised of two Japanese words - Rei which means "God's Wisdom" or "The Higher Power" and "Ki" which is "Life Force Energy". Reiki is often translated to mean "Universal Life Energy" but it can also mean "Enlightenment" or "The coming together of the Universal Spirit of Creation with our own". The Usui Reiki system of healing was developed in the early 1900s in Japan by a man named Mikao Usui. It has been passed down from Mikao to generations of practitioners by the process of attunement. In other words, Mikao attuned healers of his generation who, in turn, attuned the next generation and so on. This means a Usui Reiki healer’s lineage today can be traced back directly to Mikao Usui. An attunement is a ritual where a Reiki Master opens the student’s energy centers, or chakras, to energy. Once attuned, always attuned. The student never loses the ability to connect to energy. Level I covers the Reiki principles, the hand positions and includes a Reiki I attunement. Once attuned to Reiki I, the student is able to call in the energy to their own hands to self-heal. In Level II, three Reiki symbols are taught and the student is attuned to the second level. This increases the flow of Reiki in the hands substantially, allows for emotional healing and enables distance healing. At this point, the student is ready to heal others, as well as themselves. In Level III, the student receives the master symbol and attunement, is taught how to perform, or pass on, an attunement, and learns how to teach Reiki to others. The flow of energy in the student’s hands is increased tremendously by the master attunement. This Reiki training for the Master level can be extended at the discretion of the Master/Teacher for the sake of the student learning much more to help others. 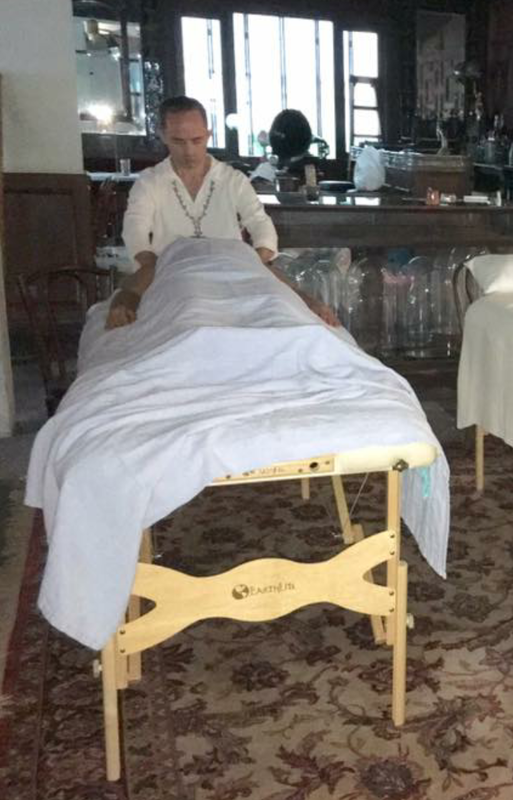 Should you have a treatment, become healing attuned or Reiki I attuned? This is entirely up to you. 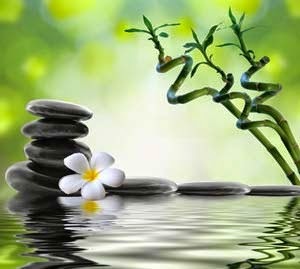 The benefits of becoming Reiki I attuned include being able to self-treat with Reiki, but also offers an introduction to a mind blowing new way of life. Opening up to energy will change you for the better as nothing else can. Where do I start? Find a local practitioner – this is like finding a new hairstylist, lawyer or massage therapist. Do your homework. Search the web, read reviews, ask your friends for a referral, or attend an open Reiki Share, where healers get together to heal as a group. Find someone you can make a connection with as they may very well become an important part of your life. Whether you become attuned to any or all of the levels, or simply begin by scheduling a session, you will find that connecting to Reiki energy is an experience like no other. It is a journey to get to know yourself and to see the world from a new perspective. Good luck and have fun. These are photos of what is called a Reiki Share where Reiki Practitioners and Teachers and Students get together to treat and to be treated to Reiki by each other, which is beneficial to all by gaining more practice and experience and of course receiving more Reiki Energy. I, Chris Crabtree am in the second and third photos (in striped shirt), both receiving and giving Reiki energy. Sometimes questions may be asked to discuss something that is sensed or felt or otherwise perceived by a practitioner channeling Reiki Energy to the receiver, and discussed at the discretion of the person receiving Reiki. Discussing it is to relieve an energy block that may be caused by an emotion held onto, whether or not the person realizes it and discussing it may aid in releasing it and help the Reiki Energy Flow to clear it. The energy may be felt as a pain or illness or other dis-ease in someone and may not be realized as an old issue that someone may hold to, within the body which can embody itself as such. In a regular Reiki Session, only the practitioner and the person requesting the Reiki Session are in a room alone for the session. Any discussion is logically held in the highest regard and the only goal is to start the healing process. My services are available both in person in Bangkok and Phuket Thailand and worldwide through Distance Healing. I love treating animals too and try to help many strays as well with distance healing, even when just a few feet from me. Reiki is the gift of vitality and self preservation encoded into the genetic makeup of all of earth’s creatures. It is the higher self’s connection to the universal energy that breathes life into all living things. We are all born with the omniscient wisdom to heal and preserve life. All living things are connected. Our ancestors used and relied on their own abilities and instincts. Unfortunately, these basic skills have been forgotten and are rarely used today. Humanity in its relentless ambition for progress has given up its most precious and natural gift. Through the media and clever advertising campaigns the majority of the world’s population have been conditioned to rely heavily on modern technology at the expense of their own birthright. There is a need for humanity to become re-balanced. Instead of giving up responsibility for one’s life and health, it is vitally important to regain equilibrium between ancient and modern technology. Reiki is the catalyst. Nature’s life giving energy is a great and wise teacher, by pursuing its wisdom through Reiki you will grow to new heights of understanding and life will flow at a more enjoyable and exciting pace. Remember always that this life giving energy is a gift from God – your Birthright. Everyone possesses this gift and uses it daily even though they probably do not realise they are doing so. Ki is the non physical vitality that gives life to all living things. Many cultures understand and recognise the importance of Ki energy and how it impacts our lives and well-being. Reiki is holistic; it works on the body mind and spirit by stimulating a person’s own natural healing abilities. The blocked emotional and physical elements that lead to illness and disease are cleared. Reiki is neither positive nor negative; it is in fact the highest and most profound vibration of life. Divine in origin, it allows us all to become one with all things alive in our world. Reiki is pure unconditional love and joy bringing all who experience and embrace it principles together in harmony. Reiki is part of our genetic structure as a built in intelligence that energises the mind, body and spirit. Reiki stimulates growth, health, life and healing. When it is freely allowed to flow around the body it can keep us alive and healthy for over one hundred and twenty years. When the mind, body and spirit are in harmony, the biological intelligence that governs the body’s resources and allows it to heal itself and function correctly are intensified. Reiki is the key that unlocks the body’s optimum capabilities. There are seven main energy centres in the body that control the flow of the universal life force. They are called the Chakras. 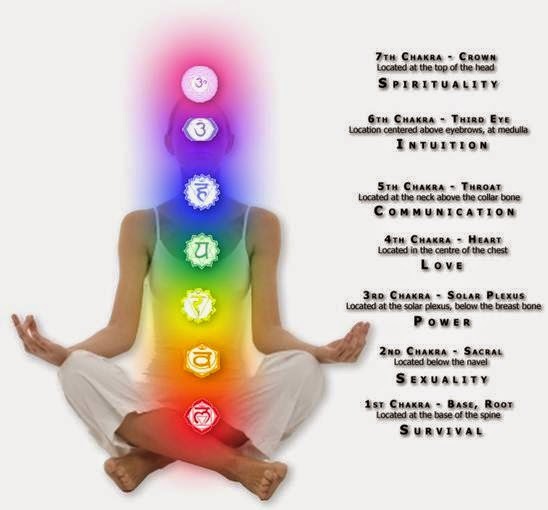 Each chakra is responsible for supplying energy to specific parts of the body. When they are blocked or clogged the body becomes sick and the flow of energy is diluted. Until recently, apart from the tomb of Dr Mikao Usui in Tokyo, there has been very little material evidence of his life and work. Most written accounts on the history of Reiki declare that Dr Usui was a Christian monk who lectured at Doshisha University in Kyoto. One day a student asked Dr Usui if he believed the teachings of the bible to be true. Could Jesus walk on water and heal people by touch. Audaciously he questioned if Dr Usui himself could heal the sick like Jesus. Mikao Usui was born into a family that had been practising Zen Buddhism for eleven generations. As a youth Usui developed a fascination for all things Western. However, he never travelled outside Japan. After leaving school he went on to study allopathic medicine with several western allopathic physicians who had graduated from Yale and Harvard University. After many years of study Usui found references to an ancient form of healing. Further study revealed methods, formulas and symbols that detailed exactly how to practice and master this art of hands on healing. However, although he had the technical knowledge to practise healing, he lacked the wisdom to turn the teachings into reality. He needed the key to turn on and activate the power. Usui decided to seek the final piece of the jigsaw through meditation. He set up a clinic near the Emperors palace in Tokyo called Shina No Macha. Each day his students held healing sessions at the clinic, or visited people in their homes if they were unable to travel. 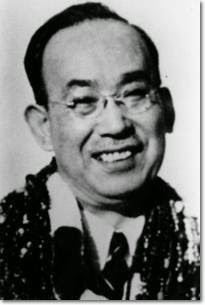 Hawayo Kawamuru was born on the Island of Hawaii on 24th December 1900. At the age of seventeen she married Saichi Takata. They had a happy marriage with two daughters. Tragically, her husband died at the young age of thirty-two. After thirteen years of marriage Hawayo Takata was left to raise two small children on her own. That night as she lay in bed she heard a voice saying, “The surgery is not necessary.” The next day as she was being prepared for surgery she heard the voice again saying, “The surgery was not necessary, ask - ask.” Takata asked the surgeon if there was another way she could be healed and he told her of the Reiki clinic run by Dr. Hayashi. The surgeon had a sister who had been there herself and had recovered fully from an illness. Madam Takata went on to train a further twenty two Reiki Masters before her death in December 1980. There were two Grand Masters installed to continue Takata’s work. 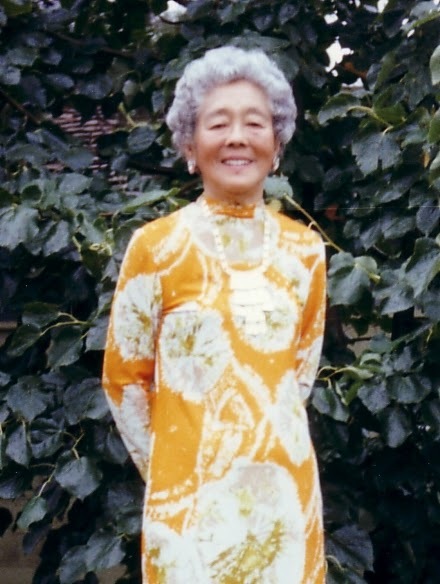 Phyllis Lei Furumoto, the granddaughter of Madam Takata and Dr Barbara Weber. This partnership was to run for only a year until for personal reasons they split up to continue the work separately. 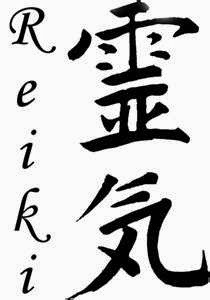 There is only one Reiki. No-one has the right to claim it as their own, it belongs to humanity and the universe. Our only wish for the future of Reiki is that instead of engaging in conflict, everyone involved with Reiki can again come together in the true spirit of healing. The Reiki principles are spiritual ideals. By adopting these precepts you will add balance and substance to your life. It is important that you realize that you are not expected to live every moment of your life within the framework of these ideals. As humans we are all imperfect, and that is why each principle begins with “Just for today.” You can without pressure or stress work on improving yourself daily. If you slip up today, you can always begin again tomorrow. The more you work with the principles, the more you will condition yourself to adopt them as a way of life. There is plenty more to learn about Reiki, particularly if you are called to it as I was, to help to heal others. 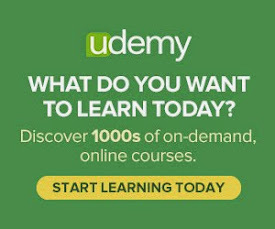 Enrolling in an online course was my way to learn and to continue to grow, as my mentor and Reiki Master/Teacher Lisa Powers is still in contact with me and with all of her students. I practice regularly here in Bangkok as well and learn more every day from other Reiki Healers here and more about my abilities as well as the amazing things that Reiki Energy can do. Visit Lisa Powers online course to view a video preview of the course. Please feel free to contact me for more information. Also, I practice Reiki by channeling Reiki Energy to heal others in person and also do distance healing for anyone anywhere and for my family and friends and pets, or even stray animals that I pass on the street. 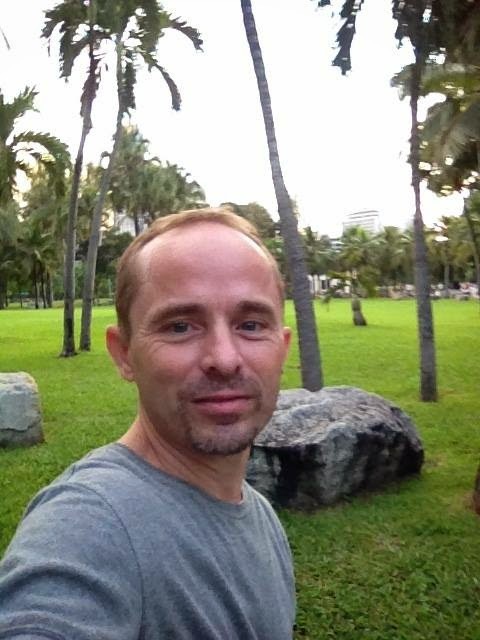 For local or distant reiki healing sessions, you may email me, Reiki Master Chris Crabtree at bangkokreiki@outlook.com. Life is an adventure. Live it! Enjoy it!